A frequently cited rule for buying produce: Don’t buy the biggest d@#n one. Since this was an impulse purchase and I’ve never bought one before, I can kinda forgive myself . 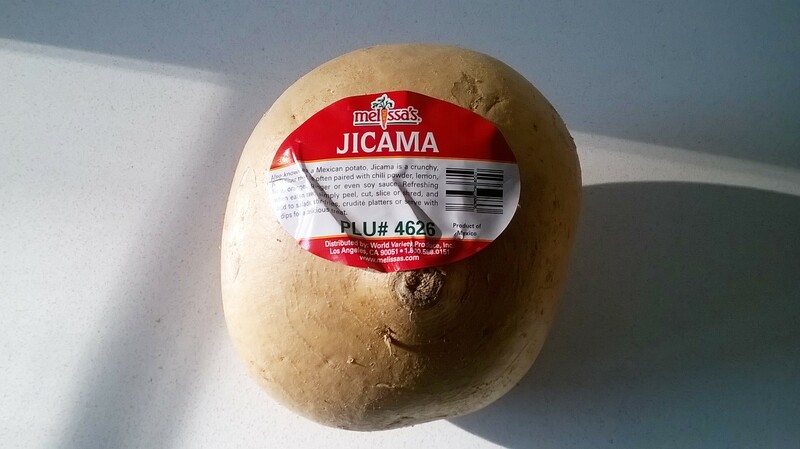 . .
Tough, fibery, nothing close to the jicama I’ve enjoyed in salads at restaurants. Bonus fail: Apply cider vinegar is not the correct flavor profile. After whacking through this monster and almost removing a finger tip while peeling it, the marinade was happenstance at best. Not awful but not worth repeating. I’ll give myself a D for trying and, since the unmarinated half went in the compost pile, environmental stewardship. The local woodchuck or a battery of squirrels no doubt had a good crunch. A retry is in order but first a definite plan of action.